While we can see these large Chemical Manufacturers produce drugs with names such as Metaproterenol or Phenylpropanolamine, the most effective medicine will always come from our Mother Earth, in the form of Essential Oils. Though there are new Essential Oils being researched upon today, there exist about 300 today that play a crucial role in the medical, food, and cosmetic industries. These aromatic liquid substances are extracted from certain species of fruits, flowers, leaves, roots, and trees, and each single Essential Oil has many diverse functions in itself. For example, Lavender Oil can be applied topically to help sunburn, cuts, or other burns. It also creates an aroma that repels mosquitos, and can even be used to clean floors and tile. Cinnamon Oil has many antiviral, antibacterial, and antifungal properties. And the list goes on. 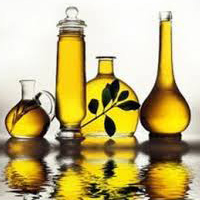 Food companies utilize these oils for great tastes and aromas, you can find many of these oils in the cosmetics you may use, and these Essential Oils are the most efficient form of medicine, as they leave no toxins behind and do not remain in your body. They also have a very positive effect upon blood circulation, as they bring Oxygen and Nutrients to the tissues, while disposing of Carbon Dioxide and other waste materials properly. 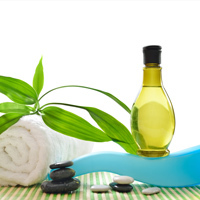 There are a variety of methods in which you can intake an Essential Oil. Oral application is the least effective, as the oil will need to pass through your digestive system, where it will encounter many food remnants and bacteria. The best way to apply an Essential Oil is topically, through the pores of the skin, or osmosis in water, or even inhalation. You may apply a few drops into your bathtub, apply it to your skin during a massage, add it to a candle as the wax begins to melt, as well as many additional ways. Please be aware though that these Essential Oils are very potent, and it is recommended that you never use more than eight drops on one occasion. So why do these Medical Manufacturers continue to seek answers in chemicals? The reason is that extraction of Essential Oils is no easy process. The most common method for extraction is Steam Distillation, though Enfleurage and Manceration are also often used. As complicated as these words sound, believe it or not, this is the easy part! The greatest difficulties arise in the quantities of the plant, tree, or seed required, as well as the stipulations attached. It would take approximately 60,000 Rose Blossoms to produce one ounces of Rose Oil. The Sandalwood Tree must be at least thirty years old and thirty feet tall before it can be cut down for distillation. The Jasmine flowers must be picked on the very first day that they open, but before the sun gets hot. You can see that while the effects are beneficial, obtaining such a commodity requires a lot of work for but a small amount. Please know as well that not all plants and trees can make beneficial Essential Oils. Plants, trees, and seeds such as Mustard, Wormwood, Wintergreen, Sassafras, and a handful of others generate poisonous Essential Oils, and should not be used under any circumstances. Next time you take a long, hot bath, and enjoy some time for yourself, consider adding just a few drops of Eucalyptus Oil to help your respiratory system and to help you relax. I so enjoy your email newsletters; they're so full of helpful and interesting info. I especially enjoyed this one about "Essential Oils". I have been a fan of these oils for decades, and probably will be forever. Thx. I really enjoy reading all your articles, they are so interesting. 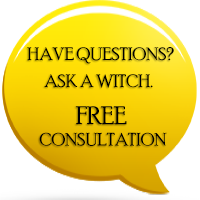 I considered myself a Witch, but I am still learning. I enjoyed a lot this one about essential oils. Thank you so much for all your info. I wud luv more info on essential oils & their medicinal application. Also which ones can be poisonous. I suffer from chronic pain & hate having to use drugs to treat my pain. Thank you very much.